[dropcap]I[/dropcap] feared the worst before perusing “The Divergent Series: Allegiant”. Although I am an advocate of “Divergent” and “The Divergent Series: Insurgent” I didn’t like the decision they made at the time where Summit Entertainment decided to split the last book of the trilogy written by Veronica Roth into two films. Such a strategy may have worked well with the great saga of “Harry Potter”, but it has been proven that it caused a decline in the quality of other films (and I mean “The Hunger Games”, since the two “Mockingjay” films did not deliver astheir predecessors did). On the other hand, the income from the “Divergent” films remained below the expected, being included even in the group of the disappointments of the box office in 2014 and 2015. I didn’t care that the fourth part of this franchise would be nameas “The Divergent Series: Ascending” (therefore eliminating the “Part 1” and “Part 2” subtitles), the fear was there. However, after watching “The Divergent Series: Allegiant” I must admit that I enjoyed it. It’s not the best movie in the world and it won’t remain etched in the memory of the viewer, but at least it’s entertaining and its two hours fly by. In this sequel, Tris wants to know what’s behind the walls of Chicago. The problem is that Evelyn is not willing to let her go with her friends. With this simple premise begins a journey that has a great pace and in which response is given to some of the unknown facts of the saga. However, and as happened with its predecessor, the changes from the original novel are numerous, something that probably infuriated its staunchest supporters. From my point of view, this decision could not be more appropriate, since, as there is a greater creative freedom, you can take the elements of the book that have a higher film component and better adapt them to this environment. Anyway, “The Divergent Series: Allegiant” is not just a succession of action scenes. The screenplay by Noah Oppenheim, Adam Cooper and Bill Collage, who had not worked in the previous films (in fact, the scripts of each are signed by different writers), introduces interesting ideas about leaders who make wrong decisions convinced that they do the best for a community (that’s what happens with Evelyn in Chicago and David in their attempt to save the world). 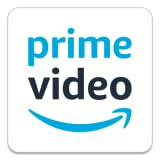 The film presents these arguments lightly without being in the audience’s face with highbrow philosophical reflections, making it clear that it is intended primarily to be a pleasant entertainment. In addition, the romantic aspect of the story is not heavy because it takes little footage time (don’t worry, this is not “Twilight”). 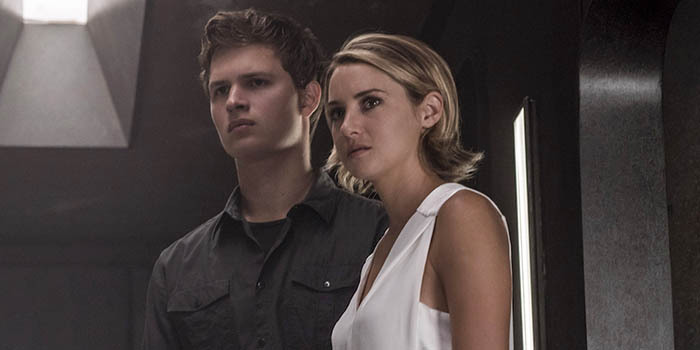 The visual section of “The Divergent Series: Allegiant” is somewhat uneven, because sometimes the special effects are too imperfect. Who knows, maybe this time the budget was lower than its predecessors, but if not, more spectacular stuff is missing in several of its scenes (the final escape, to name just one example). I want to make clear that, despite this, the accomplishment of Robert Schwentke is of a competent craftsman. 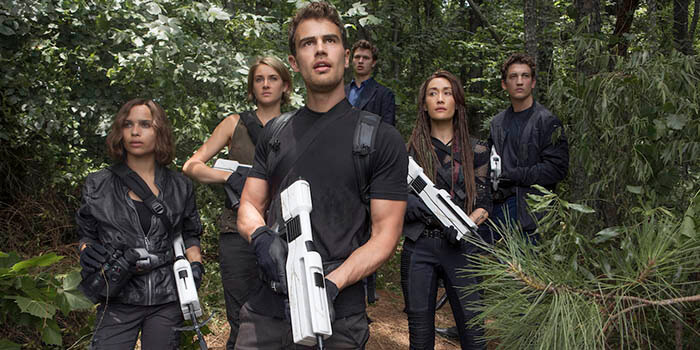 Regarding the cast, it is led again by Shailene Woodley and Theo James. The first one is a bit away of the spotlight because the drama of the plot had diminished. In fact, the relationship between Four and his mother Evelyn becomes more relevant this time. Ansel Elgort, Zoë Kravitz and Miles Teller accompany the protagonists on their journey, with the little presence of Naomi Watts and Octavia Spencer (however, the ones that really appeared for just a few minutes on the screen were Maggie Q, Daniel Dae Kim and Ray Stevenson). As novelties, Bill Skarsgård, Alexander Skarsgård’s brother, and, especially, Jeff Daniels are included. The actor knows how to express the duality of the character of David and turns it into a quirky villain. His character is not as aggressive as Jeanine (which Kate Winslet starred in “Divergent” and “The Divergent Series: Insurgent”), but his serene gestures precisely are what makes him so disturbing. 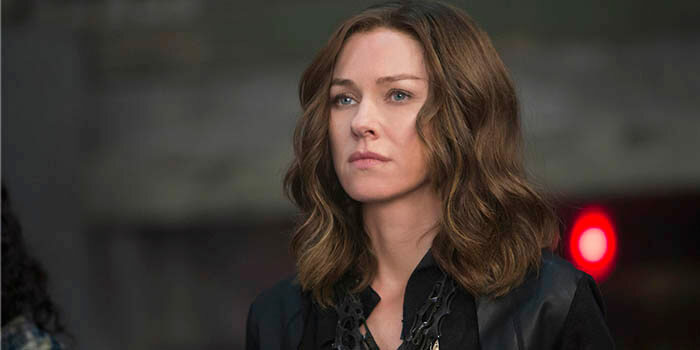 Naomi Watts, madre de Brie Larson en "El castillo de cristal"
Maisie Williams y otras actrices que veremos en "New Mutants"